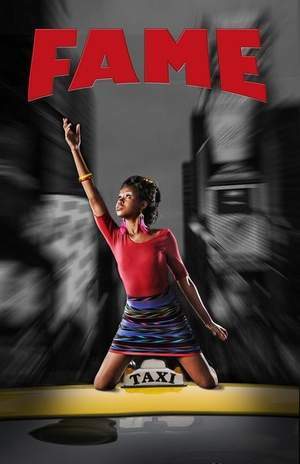 The Academy of Children's Theatre will take the audience on a whirlwind ride during its high-energy performance of "Fame: the Musical," which opens Friday at Marjorie Lyons Playhouse on the Centenary College campus. The production, co-directed by Cynthia Whitaker and Lauren Ross, goes through the highs, lows and triumphs of a diverse group of students in their quest for success in a performing arts school and features a multi-ethnic cast of actors, singers, dancers and instrumentalists. "Everybody excels in their own way, so if they're not a very strong dancer, they're probably a great actor or singer," Ross said. "What I try to do is feature everyone in some of the easier chorus numbers and in the harder parts of the chorus numbers, bring the dancers to the front." Ross, who also choreographed the performance, said the musical incorporates a variety of dance styles. "There's some ballet, there's jazz, hip-hop, break dancing, even some flamenco dancing and some salsa," Ross said. "There's a lot of different genres." Jori Jackson, a student at Bossier Parish Community College, is Ms. Bell, the dance instructor. because she's all about dance and I'm all about theater so it's easy to relate to her," Jackson said. "I just have to be an older (version of ) me. I help students in community theater too, that are closer to my age." Jackson said Ms. Bell is very intelligent and very serious about dance. "She expects a lot out of her students and she sees a lot of potential in them, especially Tyrone's character," she said. The Tyrone of whom she speaks is performed by Trey Jones. "Tyrone is the slacker in the performing arts school, but he's the best dancer," Jones said. "He got accepted into the school because of his dancing abilities, but he can't read." "Fame" is ACT's last show of the season. "After 'Hairspray,' we had so much new talent come in, vocal and dance, so we chose something that was a little more modern that would feature that," Ross said. "There's a role for everybody." "I really love the cast and the show. It's different but I like how diverse it is," Jackson said. "We have a lot of characters with different ethnicities and different talents." In between all the singing and dancing, what is the message? Jones said it's this: "Push yourself to pursue whatever it is you want to do and just know that whatever you're doing you can achieve it." "There's a song throughout the entire show called 'Hard Work,'" Ross said. "So kids have to remember if they're not willing to put forth the effort, if they're not willing to put forth the work, there is somebody right behind them that will step in and take their spot."